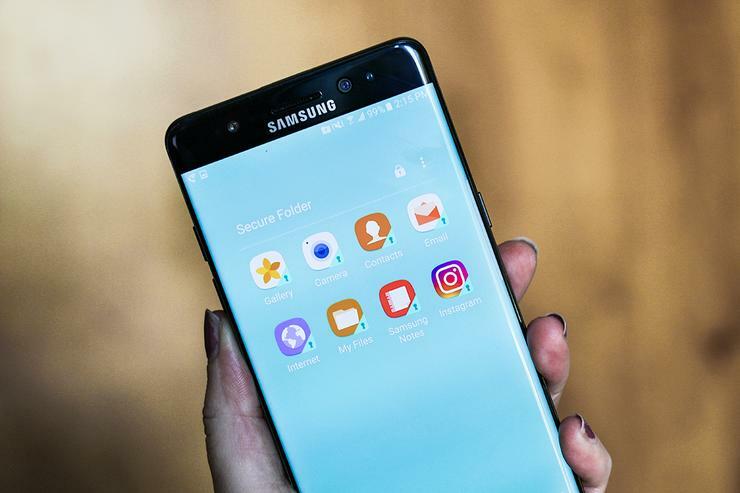 Samsung's cancellation of the Galaxy Note7 hurt Qualcomm's chip sales, but the company expects other smartphones to fill that void. The impact of the Note7 fiasco on the company's chip revenue is small, but will ride into the first financial quarter next year, Qualcomm executives said during an earnings call on Wednesday. Some models of Note7 used Qualcomm's Snapdragon 820 chip. But sales of Note7 aren't as big as that of Samsung's Galaxy S7 or S7 edge, which have sold in large volumes. Other device makers could release high-end devices with Snapdragon chips to replace Note7, which could fill the void in chip sales, said Steve Mollenkopf, CEO of Qualcomm, during the earnings call. It's also possible that Samsung will internally replace the Note7, but Qualcomm is well positioned in all scenarios, Mollenkopf said. Qualcomm executives didn't seem bothered by the Note7 discontinuation as much as they were last year by flaws in an old Snapdragon chip used in Samsung's Galaxy S6 smartphone. The Snapdragon 810 in the S6 had overheating issues and was dropped by Samsung, and that had a big impact on Qualcomm's chip sales and overall revenue. Qualcomm ended up speeding up the release of its successor, the Snapdragon 820, which is in Note7. Qualcomm's chips have also been doing well in mid-tier and high-end smartphones, which should absorb some impact of the Note7 discontinuation, executives said. The chip maker's overall fourth quarter sales totaled US$6.2 billion, growing by 13 percent compared to the same quarter last year. Net profit was $1.6 billion, growing by a whopping 51 percent. The Snapdragon 820 and 821 are considered Qualcomm's fastest mobile chips. But they are due to be replaced next year by a next-generation Snapdragon with leading features. The chip will be made using the 10-nanometer process, said Cristiano Amon, executive vice president, Qualcomm Technologies, during the call. Amon didn't share the name of the next-generation Snapdragon, but users can expect a faster chip with better graphics and CPU. Qualcomm's strength is in making faster integrated modems, which can also be expected in the new Snapdragon chip.